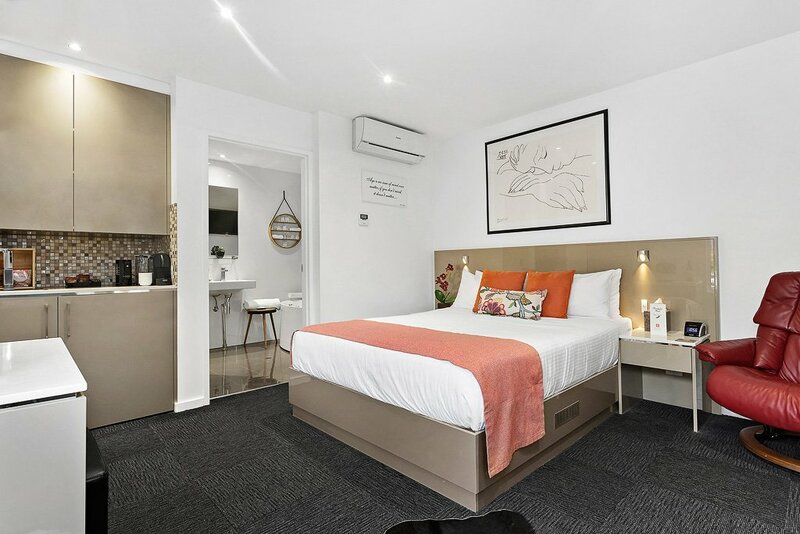 Brand New Studio (built 2014) with pillow top queen bed, luxury spa bath with TV, Foxtel, iPad in each room, LCD 40 inch TV, coffee machine, and mini bar. North Adelaide Boutique Stays Accommodation provides Hi-Speed complimentary WIFI and limited car parking if required. Maximum 2 people per room. 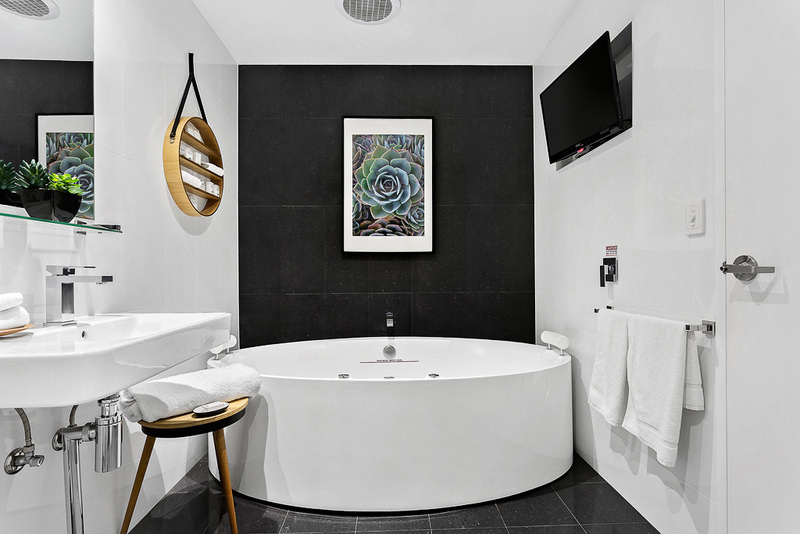 LARGE LUXURY SPA BATH with LCD TV over bath, double shower to accommodate 2 people, kitchenette (microwave/bar fridge), Nespresso pod coffee machine & iPod docking station. 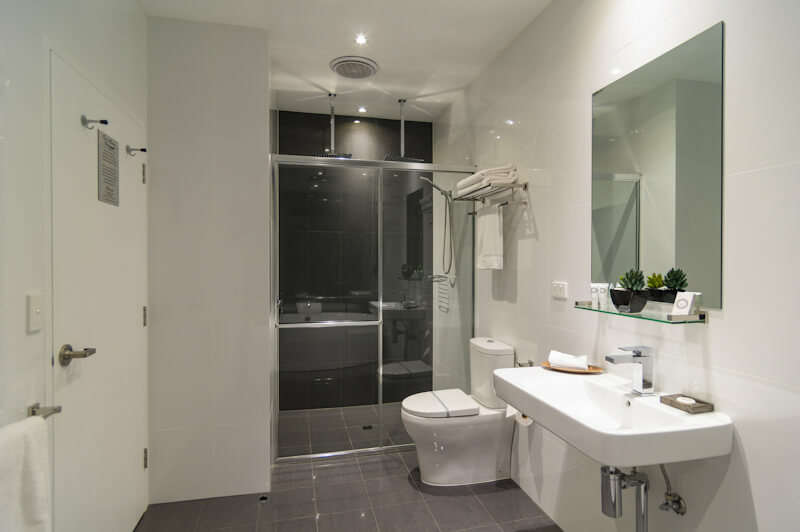 The 4 stars contemporary designed room also features a large ensuite and reverse cycle heating/cooling. SPA PACKAGE including sparkling wine and chocolates is available on request for an additional fee.